Instagram has come a long way! Nowadays influencers invent new trends just to show them off on this social media platform. These trends are often unwearable but pretty to look at! Take a look at the craziest beauty trends we’ve seen on Instagram. We must admit that we’d try this hair trend! 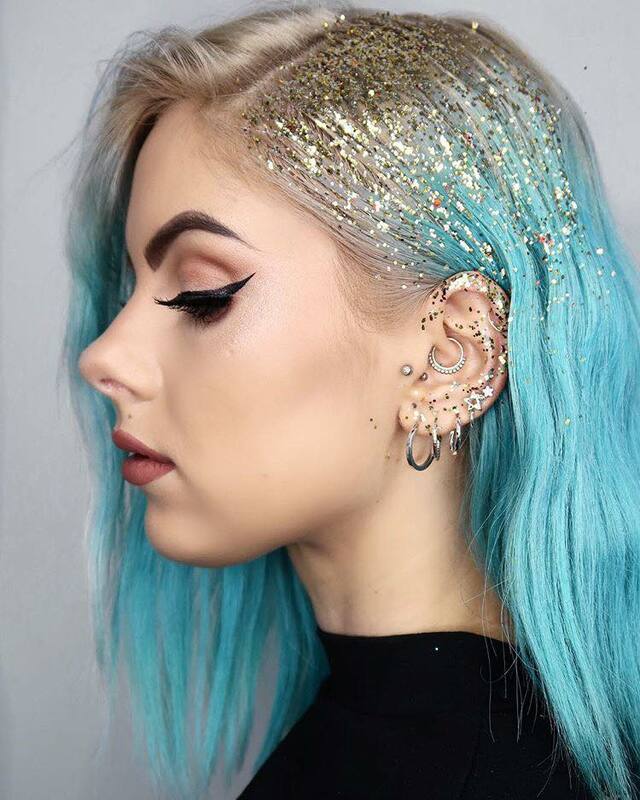 Decorating your roots with glitter is one of the prettiest things we’ve seen lately. No need to wait until the festival season, just add some glitter on your hair for the next glamorous event on your calendar.